Sometimes a young man will chase young women all over the world. In the end, he comes home and finds the girl next door is the perfect one for him. The Altaville Schoolhouse in Angels Camp, California has been like that for me. Like many people who live in Calaveras County, I’d driven past the place hundreds of times, always thinking I’d stop and check it out one day. But the distractions here are many, and the schoolhouse, well, it’s always right next door. 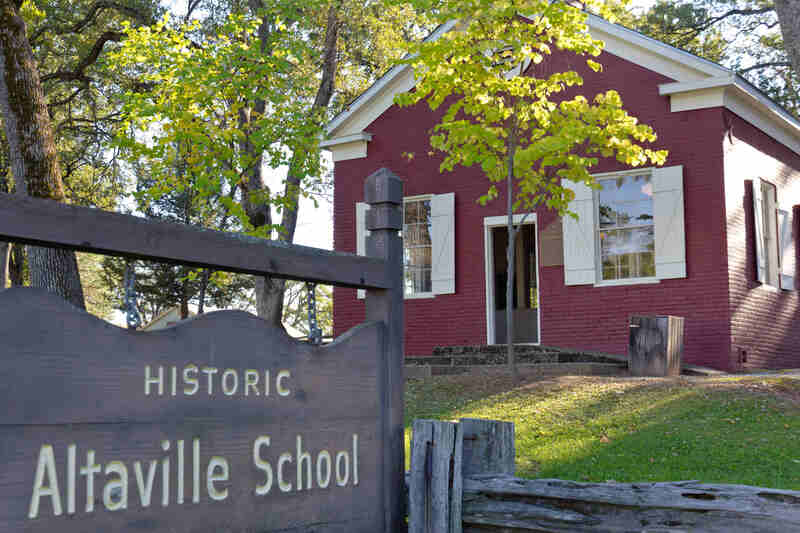 The Altaville School is now a faithful representation of the 19th Century one-room schoolhouse. 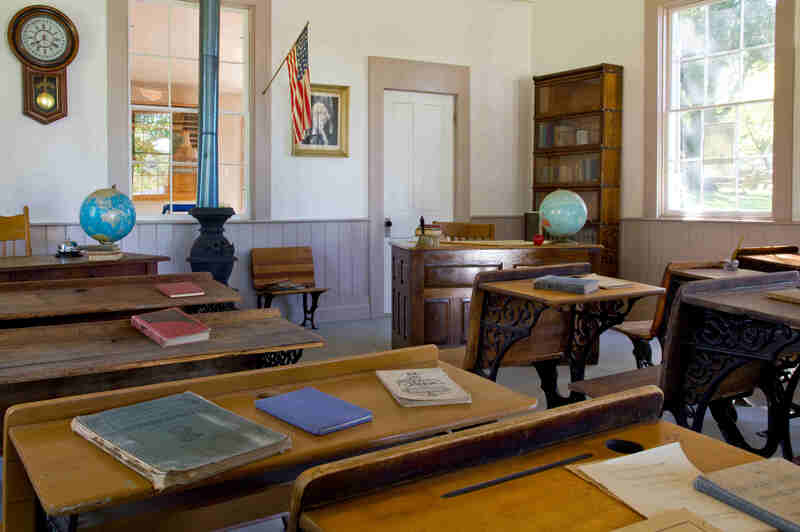 Walk inside and see what children of the past experienced as education. Then sit outside in the park setting and enjoy nature. I can drive 50 miles down the road and be in Yosemite National Park. I can go 25 miles up the hill and be in Stanislaus National Forest and Calaveras Big Trees State Park amid the giant Sequoias. Nearly within walking distance is the New Melones Lake behind the great dam on the Stanislaus River. It’s a 12,000-acre recreational panacea for boaters, fishers, campers, hikers and anyone who likes the outdoors. There are more wineries (with tasting rooms) around here than you could drink your way through in a week (at least it seems that way). Historical sites are at every turn, given the gold rush history of the area. Go over to Columbia State Historic Park, near Sonora, and you’ll swear you’re in a Clint Eastwood movie. He filmed parts of “Unforgiven” and “Pale Rider” around here. Sometimes in summer it seems like half the population of the San Francisco Bay area is out here on holiday. 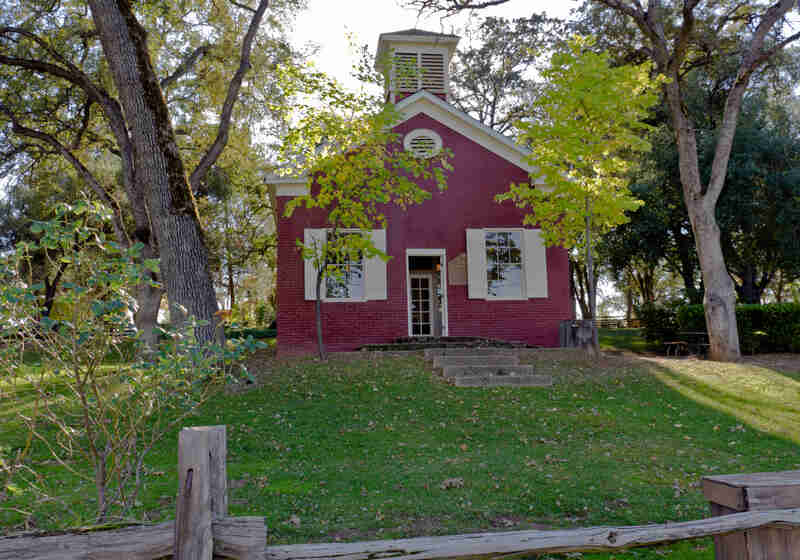 For me, it’s that little red schoolhouse right here in Angels Camp that gets my attention now. It sits in the middle of a beautifully landscaped half-acre park complete with benches, tables, bird feeders, big shady trees and scampering squirrels. Perhaps 200 yards away, hidden from view is a shopping center where people are trading movies at Blockbuster Video, sharing the view of a parking lot from their sidewalk table at Starbucks and blowing through the new two-lane McDonald’s drive-through. I’ve never yet seen anyone get a coffee and come over to the park at the schoolhouse where it’s quiet and it’s shady and where you can get a real taste of history with your coffee and scone (or burger and fries). Matter of fact, in all the time I’ve spent at the schoolhouse park, I’ve never seen another person there. That girl next door often sits home alone on Saturday night! This is a picture of a picture printed from a negative produced in 1884. This print does not go back to 1884, but the image does. The Calaveras County Historical Society allowed me to remove the print from its sleeve and take a picture of it. On what was probably a spring day 126 years ago, the students and teachers of the Altaville, CA school stood for a photographer. The schoolhouse still stands. Descendants of the 60 or so people in this picture also stand -- now attending the Mark Twain Union Elementary School. The social circle abides. The school building is 152 years old. 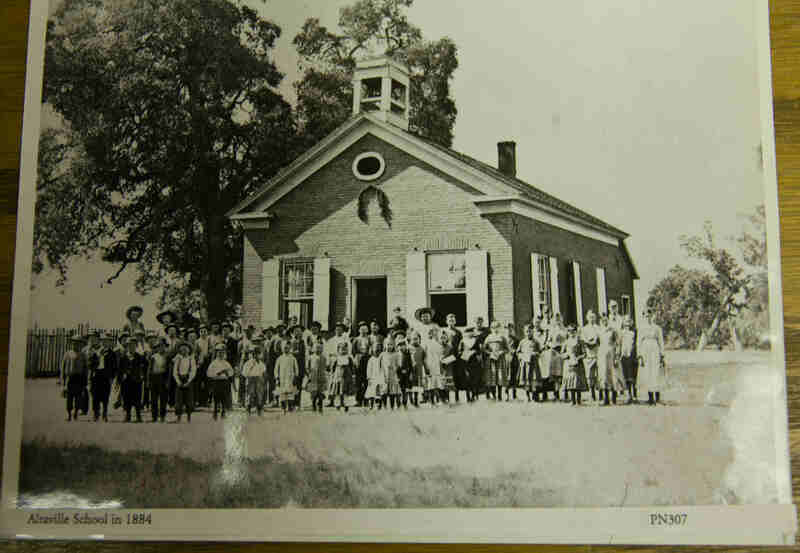 It was school to youngsters around here from 1858 to 1950, a 92-year run. 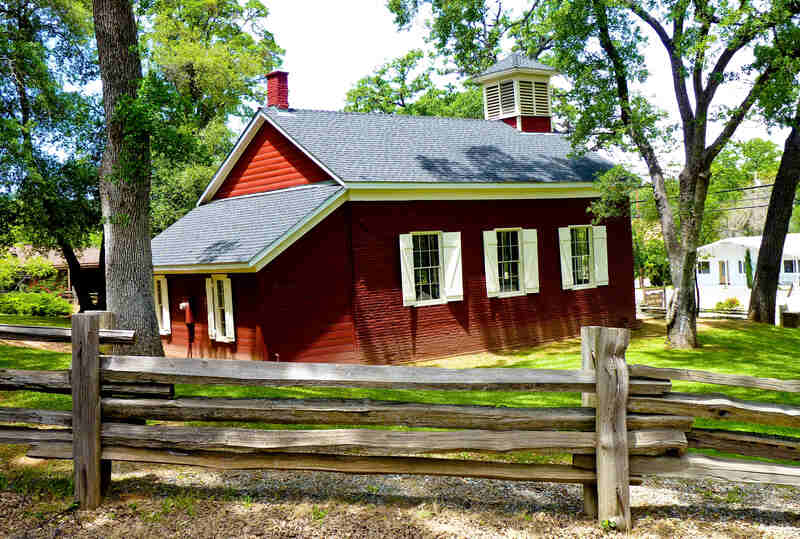 While no one seems to know for sure, it may be the oldest standing one-room schoolhouse in California. The use of brick suggests a rare commitment for a school in a gold-rush boom town of the 1850s. Bricks were fired in a local kiln, and history says funds to build it were raised at a dance in the historic Prince-Garibardi building, apparently a general store and community hub at the time. Until 1950, this was school for the local children. As many as 60 at a time squeezed into the cramped confines; the whole building is only 24-feet wide and 36-feet long. It closed when a modern, multi-classroom facility replaced it, the Mark Twain Union Elementary School. Today, 500 students attend that school. After closing, the little red schoolhouse sat neglected and deteriorating for 30 years. By 1982, the disrepair was extensive, and two of the walls were literally crumbling. Pictures I’ve seen look like one corner of the building was virtually gone. That’s when public interest in restoration arose. 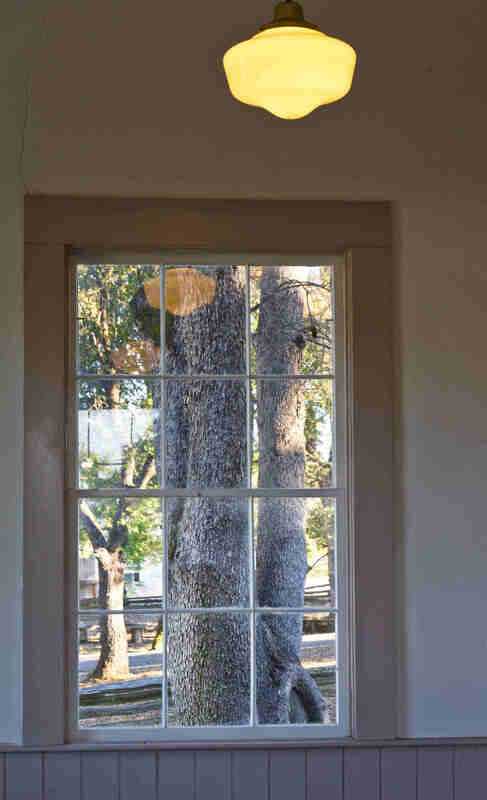 The Calaveras County Historical Society funded a $27,000 restoration, much of the labor done by California prison inmates working as firefighters for the California Department of Forestry (CDF and now called CalFire). To make the historic structure more easily accessible, it was moved. The 90-ton structure was picked up and moved about 100 yards east to front on California Highway 49, Main Street through Angels Camp where it sits today. Welcome to the one-room Altaville School. If you ever come to the Sierra foothills of California, you may want to reserve a few minutes for the girl next door. She’s a sweetheart.